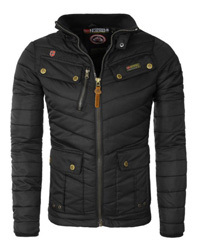 Starting with the men’s selection, by Jack Wolfskin comes a stylish jacket, Iceland, in a “3 in 1” design. This is a great hiking jacket, suitable to wear from autumn to spring and that is because it comes double layered. These layers are detachable from each other by zippers on both sides. The outer material is fully waterproof, while the inner one is made of cotton for the outer part and warm fleece lining for the inner part. 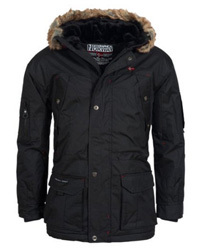 It is a really warm jacket, suitable for cold nights, while also highly breathable and lightweight. There are two side pockets and two inner pockets. The main zipper is covered by a Velcro placket, the cuffs are Velcro-adjustable and there is an attached hood on the stand-up collar. It comes in three colors: Black, Olive Brown and Moroccan Blue. 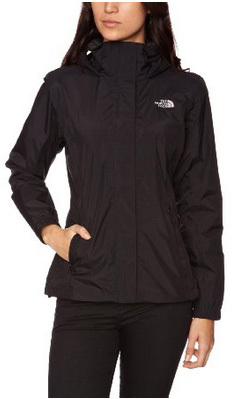 Resolve by The North Face will be your best purchase if you are someone who prefers being active despite the weather. It is made of 100% Nylon on the outside, with HyVent technology, which makes it fully waterproof, aided by the taped seams, as well as durable against scratching or tearing. 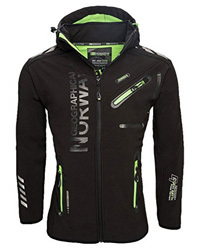 The inside is Polyester in mesh-lining, making the jacket breathable and fast-drying. It comes with elastic cuffs, a covered main zipper and two hand warmer pockets on the sides. The hood is attached to the collar and can be stowed underneath it for when not in use. This is a very lightweight jacket, which can be folded and stored neatly into your bag, without taking too much space. 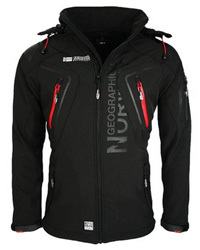 It comes in the colors: Black, TNF Orange, TNF Red, Venom Yellow, Black Ink Green, Grey and TNF Black. 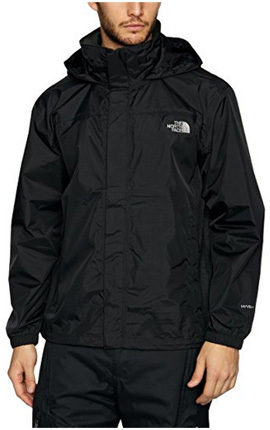 Evolution II Triclimate is also by The North Face and it is made of 100% Nylon and DryVent technology. The inside is made of Polartec Classic 100 fleece, which is incredibly warm and breathable. 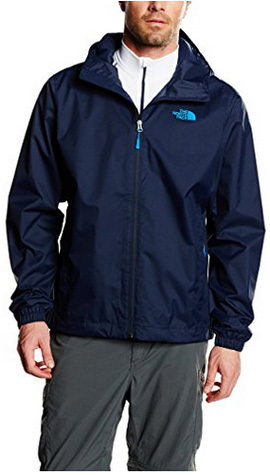 This is a good sports jacket, especially suitable for jogging, hiking or camping. It comes with an adjustable and attached hood, which can be stowed away into the high collar. The cuffs are adjustable by Velcro fasteners and the main zipper is waterproof, covered with a Velcro placket. As for pockets, there are two on the sides with concealed zippers and lined, to quickly warm up the hands when needed. There are four color options: Black, TNF Black, Cosmic Blue and Sequoia Red. 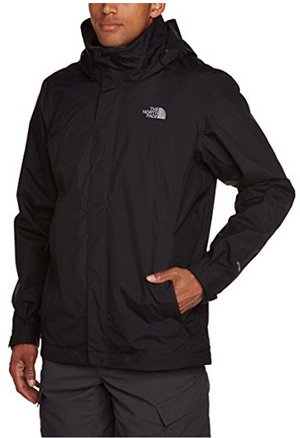 The next jacket in the men’s section, is also by The North Face and it’s the Quest rain jacket. This is a 100% Polyester jacket, with DWR finish that repels water completely. The inner material is also polyester, soft, warm and breathable. It comes with an attached hood, which is also warmly lined and adjustable. The main zipper on this jacket is not covered, and the cuffs are elastic. There are two zipper pockets on the side and adjusting drawstrings at the hem. This one makes a good transition jacket and it is most suitable for mild temperatures and rainy days. It comes in a wide color selection: TNF Black, Fiery Red, Flashlight Green, Moonlight Blue, Enamel Blue, Green, Quill Blue and Adder Green. 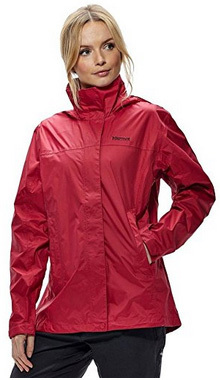 Now for the women’s selection, first up is the Precip rain jacket by Marmot. It is made of NanoPro TM 100% Nylon fabric, waterproof and highly breathable. This jacket is designed for functionality, with the sleeves allowing full movement, making it suitable for hiking, trekking, jogging and practically any outdoor activity. It has a stand-up collar, to which is attached the hood. The main zipper is covered and has DriClime lined chin protection to prevent chaffing. The cuffs are adjustable with Velcro fasteners and there are two side pockets, placed slightly higher than in most jackets, for easy access when you are carrying a backpack. The colors available are several, including: Black, Persian Red, Arctic navy, Golden Sun, Green, Dark Raspberry, Deep Teal, Cherry Tomato, Gemstone, Dark Coal, Gem Green, Lavender, Aqua Blue and Burgundy. 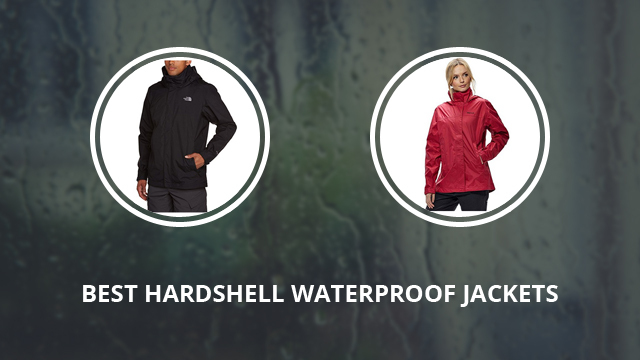 You might also like: Marmot PreCip vs Patagonia Torrentshell – Which One is Best? Following next it’s Resolve for women by The North Face. 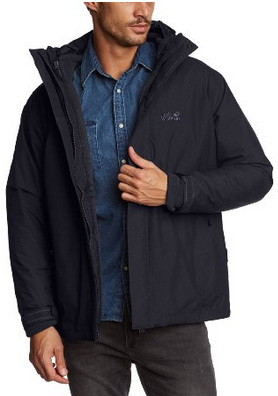 This is a 100% Nylon jacket, with mesh inner lining and HyVent technology, that makes it completely waterproof. It makes a good transition jacket, best for mild and wet weather. The main zipper is covered by a Velcro placket, and zips all the way up to the high collar. There is an attached hood, which can be stowed under the collar and two side pockets for the hands. The cuffs are elastic and there are adjusting drawstrings at the hem. 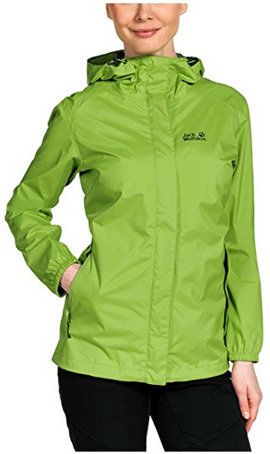 It is a lightweight jacket and breathable, good for outdoor activities, including camping and hiking, as the nylon shell is resistant to scratches. It comes in many colors, some of which are: TNF Black, Balsam Blue, Pink, Marker Blue and Clear Lake Blue. Cloudburst by Jack Wolfskin is a light and transitional jacket for the milder temperatures, a functional and windproof jacket made of 100% Nylon. It comes with an adjustable hood, attached to the main collar. The main zipper is waterproof and covered. It has elastic cuffs that fit snugly around the wrists and adjusting drawstring around the hem, to fully insulate the jacket against rain and cold drafts. There are two side pockets and it comes in four main colors: Black, Night Blue, Green and Hyacinth, with varying shades in between. The Iceland “3 in 1” women jacket by Jack Wolfskin is double layered, which can be zipped together or taken apart as required. The outer shell is made of 100% Nylon and it comes with two side pockets, Velcro-adjustable cuffs and an attached hood. The inner part is made of 100% Polyester, with inner fleece lining, making it a warm jacket, suitable to be worn alone during mild temperatures and dry weather. 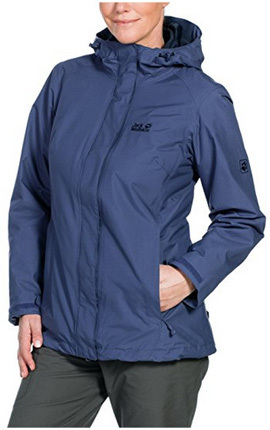 It has a covered main zipper and sleeves designed for maximum mobility, making this a suitable jacket for most outdoor activities. The colors available are: Black, Blue Indigo and Matte Black. Previous Article← The North Face vs Canada Goose: Which Brand is Better?